In May, I have been doing some pages about my past and a LOT of pages about my father's past. Daddy has a big birthday coming up soon and I'm working on a mini album about his life. The newsletter is FREE. All you have to do is subscribe. If you haven't subscribed, you can enter your e-mail address on the right sidebar. I'll be sending it out next week with a tip and this video, but only to subscribers so be sure to sign up. 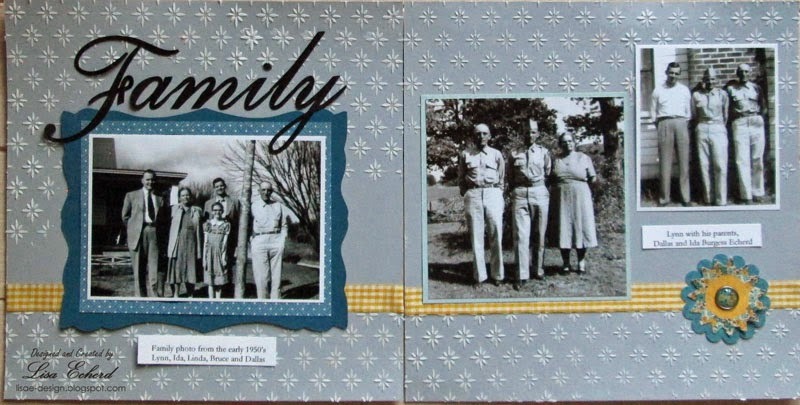 For the background of the Family page, I used light modeling paste and a Jenni Bowlin stencil. Since the album is my father, I want to add some embellishment and interest without making it too feminine. 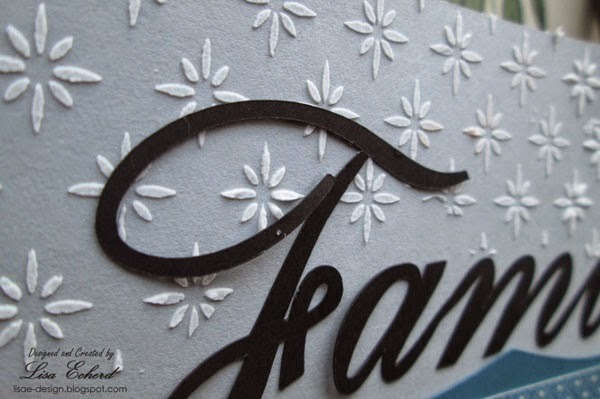 Using stencils and ink or modeling paste is working well to add texture to the pages. I've still got a few pages to finish up. The project is moving along. Thanks for visiting today! 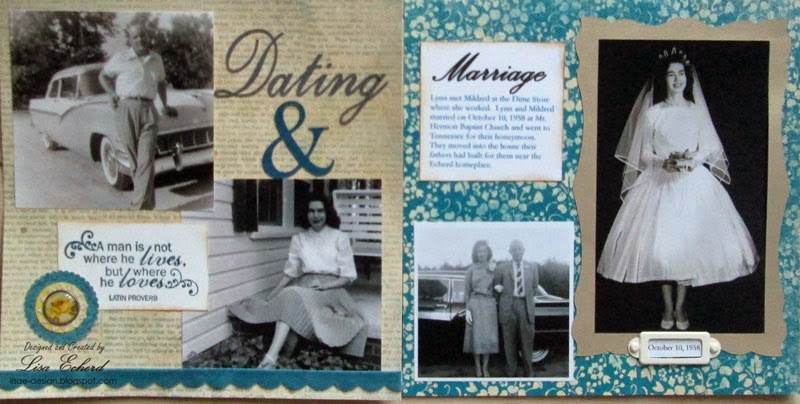 Beautiful pages and such a wonderful idea for a gift, Lisa! What a sweet gift. I am sure he will love It, it's beautiful. I really like the color combinations you chose. This is a wonderful gift. Beautiful pages! All the heritage work I've seen today is making me want to pull out some vintage pics! I love the look of the album pages, Lisa. I'm working on a mini-album, too, and managed to finish 11 pages this past weekend! Lots to go, but it's coming along. Good luck with yours!